For once, I woke up early enough to take my time driving up-Island. Of course since I was driving slowly, I had to dodge three rabbits and a raccoon. I missed them all, but then a small deer ran straight into the side of my car. 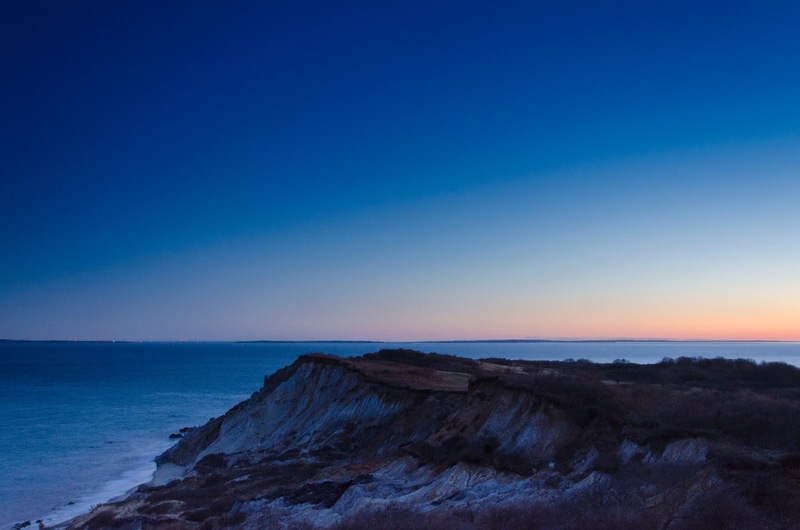 My friend Chris Pettit and I were shooting the full moon behind Gay Head Light, but the colors of dawn always catch my eye, so I swiveled around and shot this photograph of first light creeping toward the famous clay cliffs.